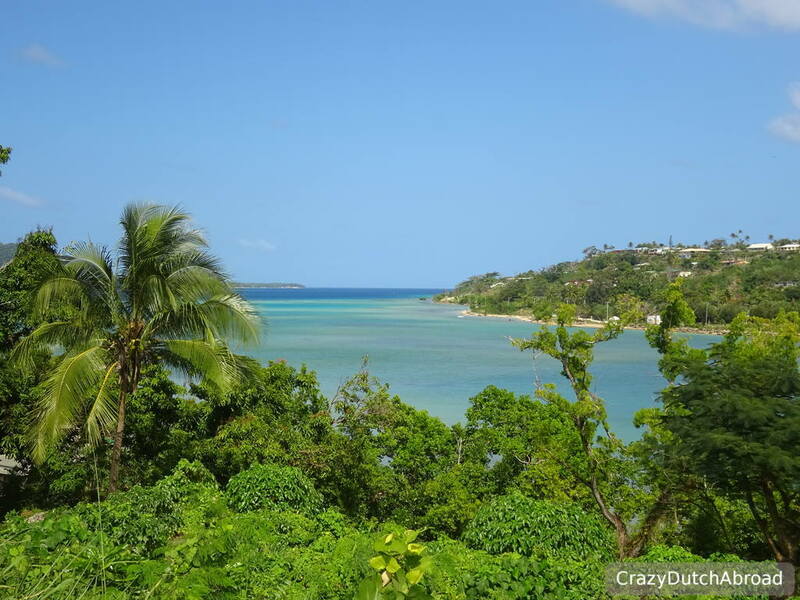 Trip to Port Vila, Efate island in Vanuatu! 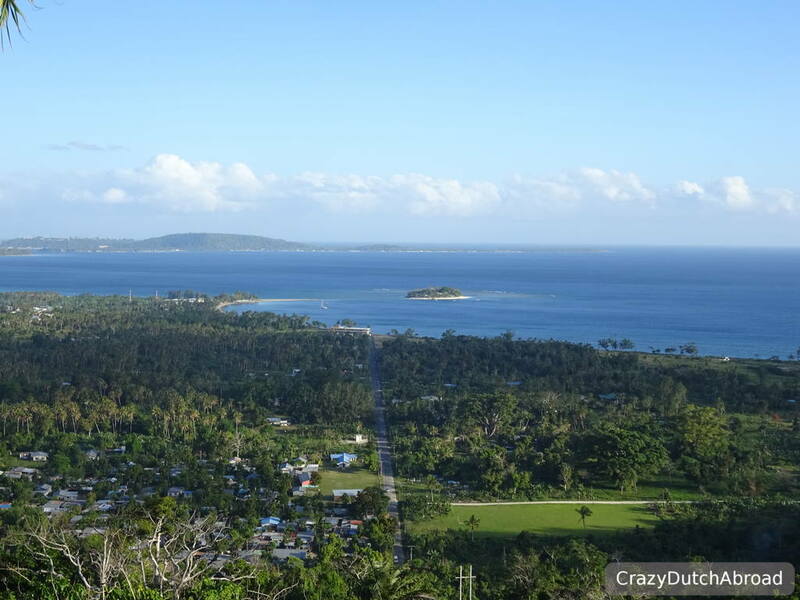 Efate is one of the tropical islands of Vanuatu, a small and remote country in the South Pacific of about 900 square kilometers. 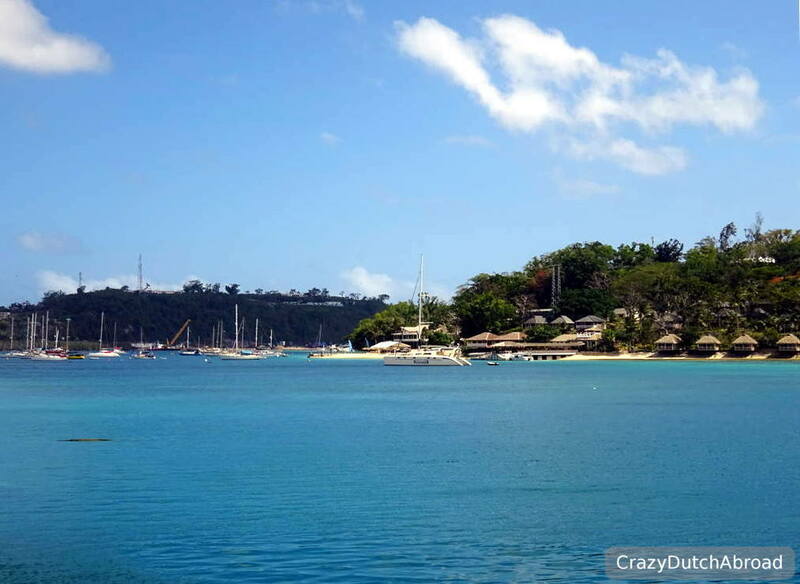 Port Vila is the capital of Vanuatu, a small village compared to Suva in Fiji or Papeete in French Polynesia. It lays right at the waterfront of Vila Bay with Irikiki and Ifira island just off shore. Fruits and vegetables color the local markets and there are some huge supermarkets to get all the things you need. Bright colored fabrics, wooden Melanesian souvenirs and kava are all around. 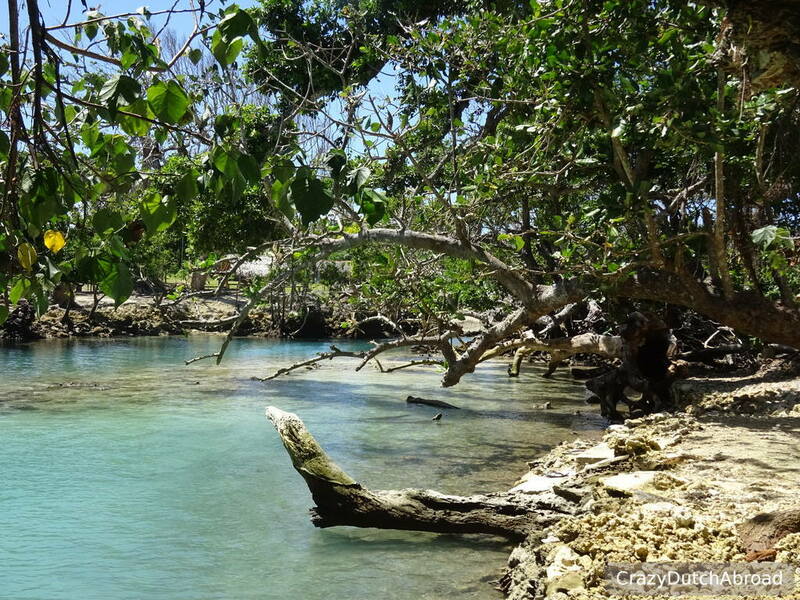 The island Efate has a beautiful rugged coastline, waterfalls, plenty of wild flowers and countless lagoons, springs and blue holes. 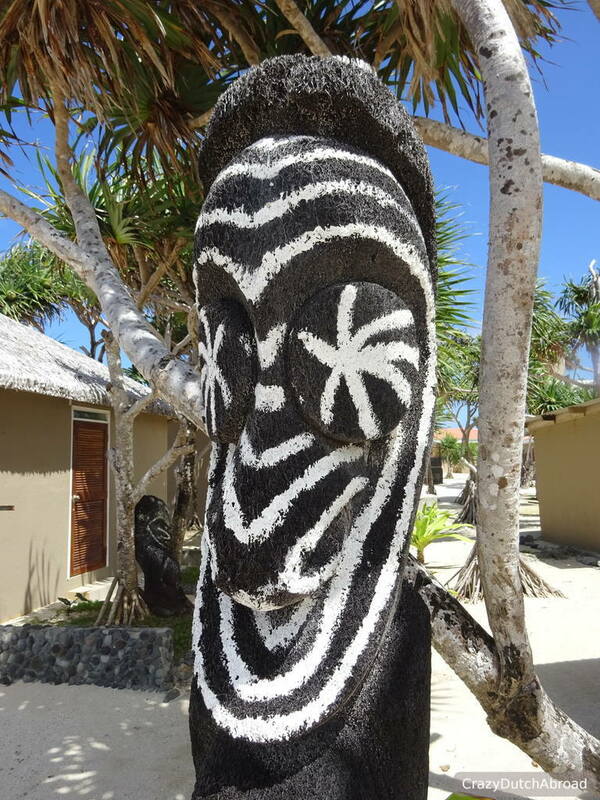 On Efate island the main Language is English, although many people speak French and Bislama (Melanesian language). It is a tropical island with a humid climate. 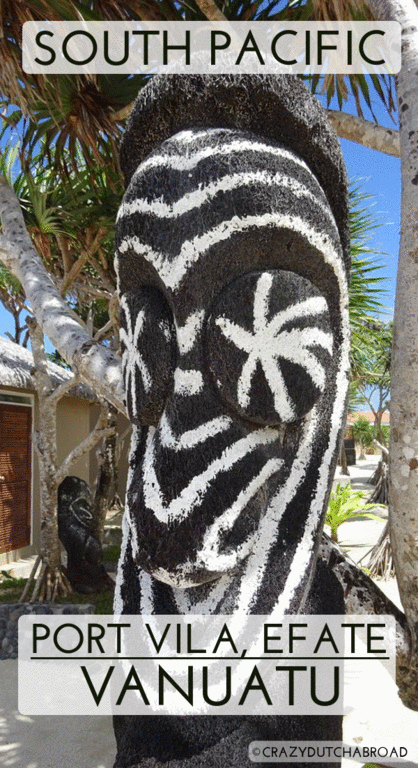 Things to love about Efate in Vanuatu! At Bauerfield International Airport (VLI) you get a Vanuatan welcome from people wearing traditional clothes who sing and play local music. Awesome! The airport is small and the organization goes smoothly in a more laid-back manner. Welcome to a remote tropical paradise! You can go to the island you see on most of the one pictures of Port Vila with a free ferry (if you order a minimum amount in the bar/restaurant). 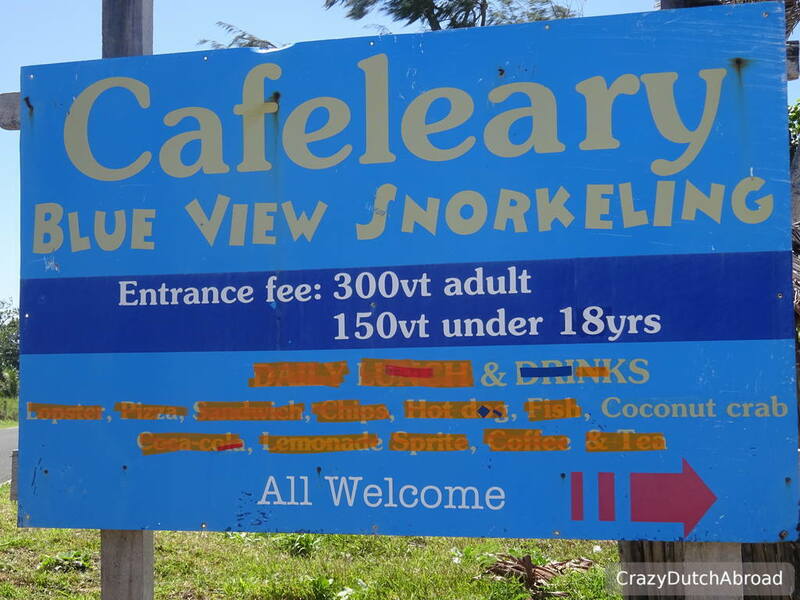 The hotel is a bit expensive for an overnight stay but the restaurant and snorkeling affordable and really good! Also, the best WIFI in Apia! 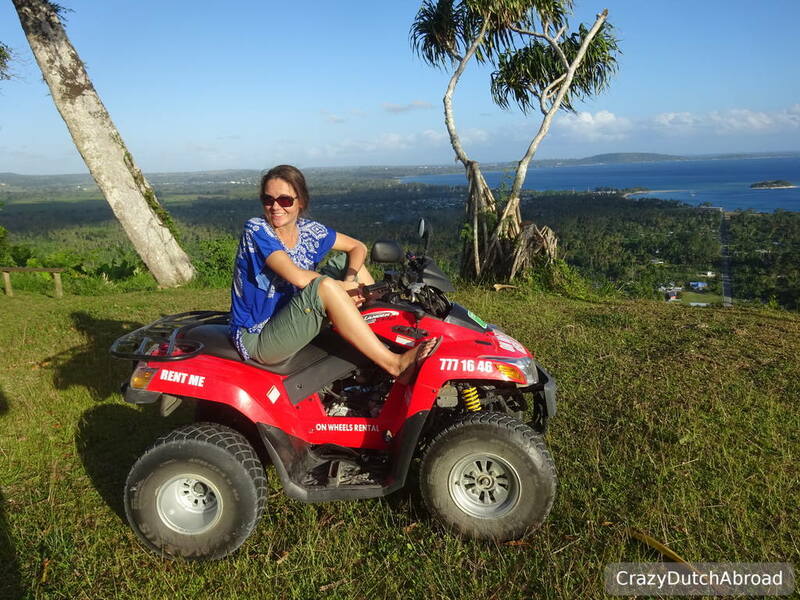 You can rent cars and scooters in Port Vila, but more importantly: quads! Since the roads are uneven a quad is great, but you need quite a lot of sunscreen and strong arms! The scenery is beautiful and changing along the way. Go counterclockwise and take the dirt road right straight after the bridge (yes, it is that small!). Take a guided tour at Turtles Bay sanctuary and learn all about turtles, swim in the Blue Lagoon, have lunch at Le Life Resort in Epule (or stay overnight) and enjoy an afternoon drink at the jetty of the fancy Havannah Resort. The last part of the trip is a bit like a mountain ride with curly roads, lovely viewpoints and a lot of trees. Finish off with happy hour at The Beach Bar, next to the souvenir market and jetty of Hideaway island. Highly recommended! Staying overnight at Hideaway island is a real treat. It looks like the whole island is made of coral. You will find a coral beach, white pieces of coral everywhere - so beautiful but it can be a bit painful if you walk bare feet. Many people arrive for the day to snorkel or kayak but staying overnight is a better experience I guess, even if it is just for one night. The highlight is the one and only: Underwater post office! 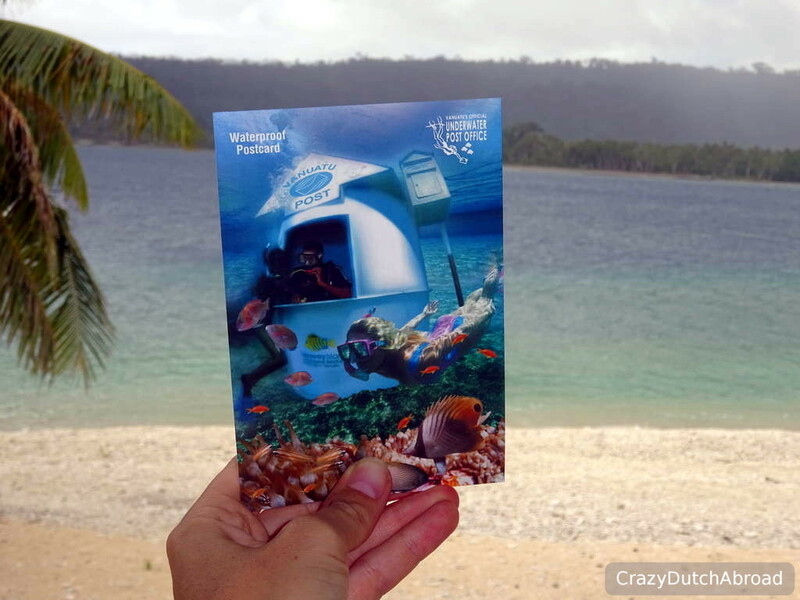 You can buy a waterproof post card and post it underwater! There is a little post office at about 2-3 meters depth and a post box. The card we posted made it all the way to the Netherlands in about one month! 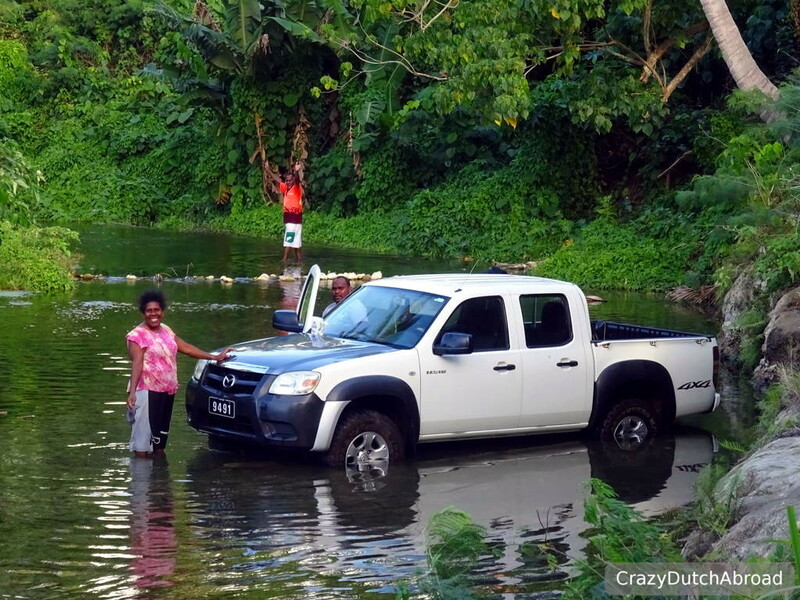 Lessons learned on Efate in Vanautu! On Tanna island there is an active volcano which you can visit. Especially around sunset, the twilight zone, the natural fireworks are supposed to be amazing! You can either stay on the island and walk to the crater or take a scenic flight for great photo opportunities. The price tag for the twilight flight from Port Vila to Tanna island is about 500$ per person. We skipped it since we ran out of budget but it must be a once in a lifetime adventure! Even-tough many people loose track of time and days during their holidays, well - you do not want this to happen in Vanuatu! Especially on Sundays - everything is closed and public transport is really hard to find. Make sure to book your trips and car rentals in advance and buy groceries on time. There is also an alcohol law during the weekend, so be prepared if you like a glass of wine on Saturday night! 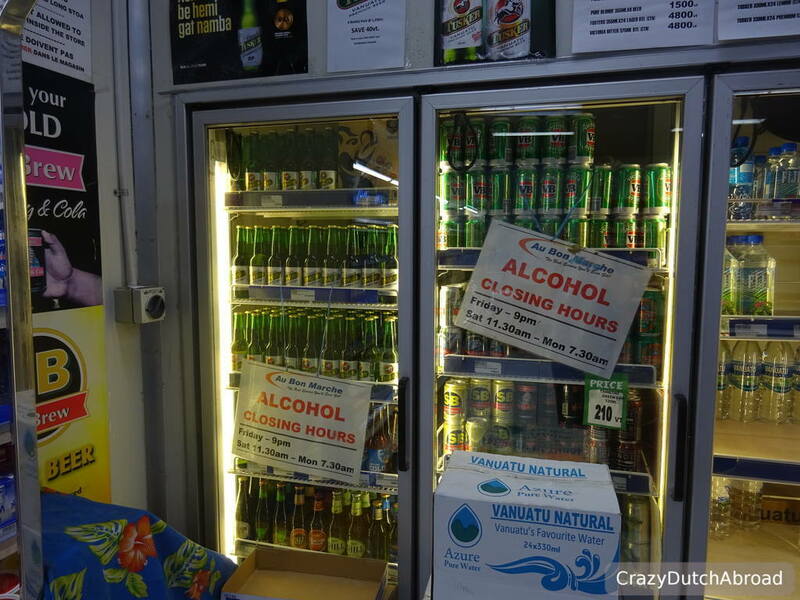 Even the Chinese convenient stories will not sell alcohol during the weekend, but you can always get some canned food and peanuts in case of emergency. 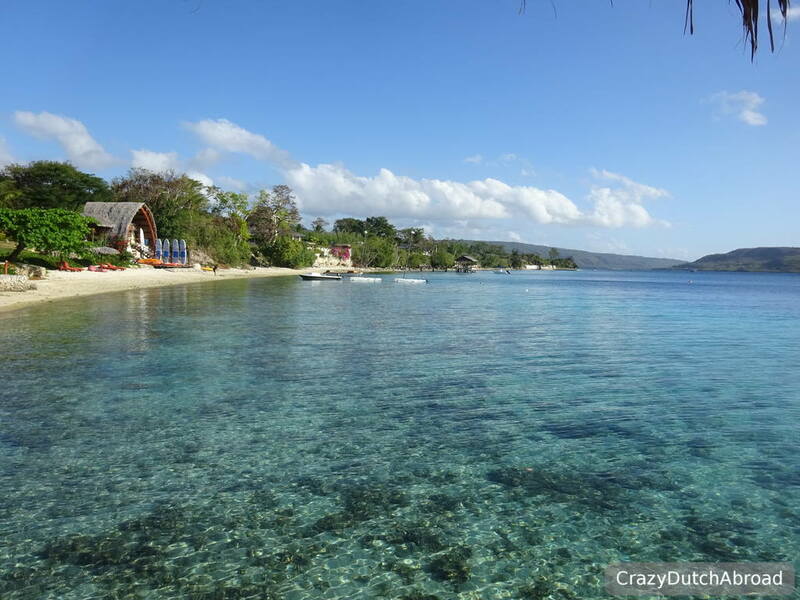 Things we skipped but you might love on Efate in Vanuatu! There was a 20$ person price fee for a 'package' with a fixed time schedule. We do not like these packages and we have seen plenty of waterfalls on our travels. Same here, but the price tag was around 70$ without lunch (and that does not need to cost a lot - not appealing). 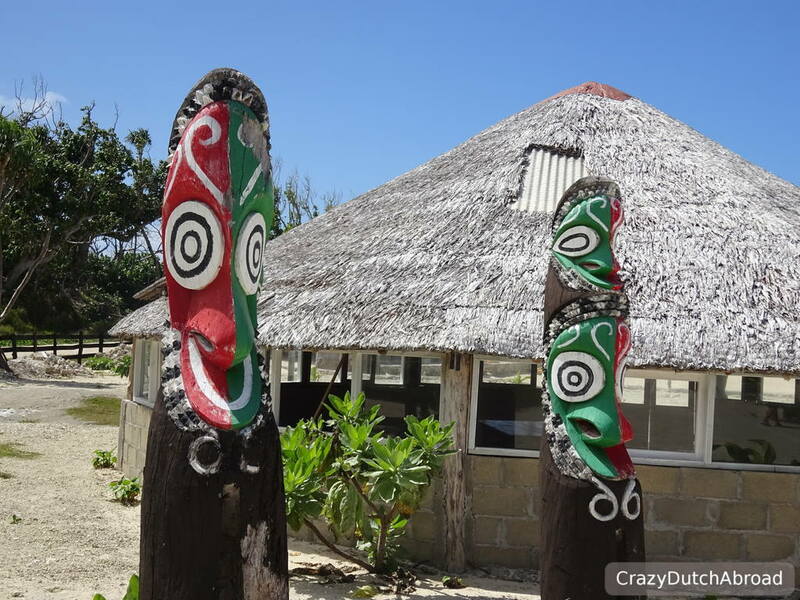 This cultural village is set-up to explain you all about the Vanuatuan culture. We simply did not have enough time for this. After driving around the island at our own pace and seeing many amazing views and flowers we thought this would not bring anything new. There are various options to be entertained, probably great for kids or when you do it for the first time. From Segway tours to Bubble soccer, all come in various packages and prices. 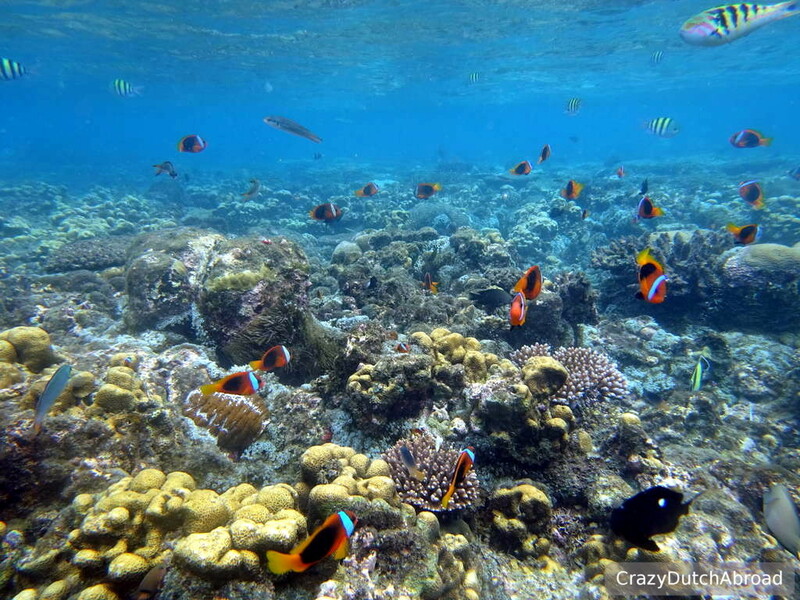 The facts about Efate, Vanuatu! Strip with bars Sort of strip along the main street Kumul Hwy, no ocean view. Spots we loved Lava Lounge, Waterfront Bar & Grill and War Horse Saloon Bar. Club Sandwich/Pizza Margarita 500 VUV, but skip the pizzas! Meal 350 VUV in cheap and often bright lighted place with plastic chairs. Starting from 2500 VUV in a decorated sit-down bar-restaurant. Restaurants open Varies a lot, some close during the afternoon and most close around 9PM and on Sundays. Local transport Minivans with a B on their license plate drive around in a hop on hop off fashion. Prices are cheap. Local SIM card Buy a Digicel SIM at the airport, same price as in town. WIFI Hot spot Restaurant areas on Irikiriki and Hideway Island are good. Endangered Coconut crab is often on the menu but they are endangered species! Please do not order them for dinner. Domestic flights If you arrive 2 hours before your flight to Santo you are likely to be the only one. There is no luggage belt, just a counter with domestic arrivals. We got a written boarding pass! A small coffee shop in the international lounge offers some breakfast/lunch and opens around international flights. Wash your car like a local! Just drive you car in the river and clean-it-up!